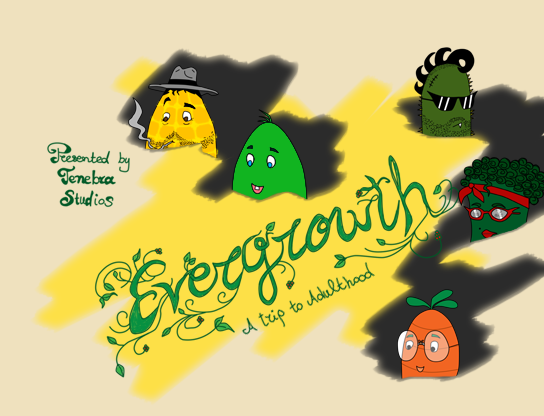 Evergrowth – A trip to adulthood is set on a 50s era, but viewed from little green groceries/fruits perspective. The game seems childish at first but is more adult themed at heart. It attempts to address the troubles one faces while trying to discover himself on growing up. A trip to adulthood. The player enters directly into the fantasy world of Evergrowth city and the action as the game starts when the door to Detective Cornelius' office bursts open and two sweaty, worried-to-death children enter informing him about their missing friend, Bulby. The Detective has to investigate and ask around questions, complete quests and discover clues that will lead him to the child that has disappeared. 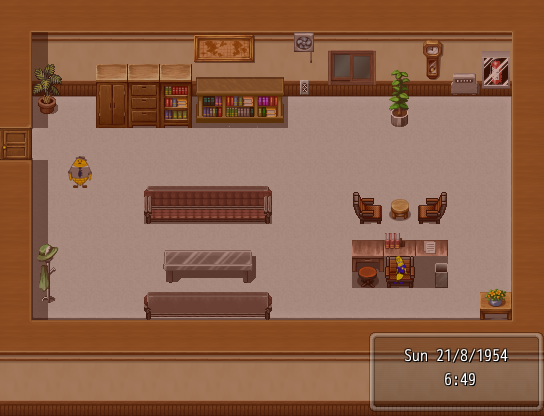 If you downloaded the original version, you must also download and install the RPG Maker VX Ace RTP by clicking here, before playing the game. NEWS UPDATE: We will be attending Digital Universe #2 (https://www.facebook.com/digiugr?fref=ts) on Saturday 26/09/2015. Come see us presenting the game live. We will also talk about the future of the game, show design sketches and making of - behind the scenes featurettes. Two full copies of the game will be given as presents to those attending the presentation. (The presents will be valid after the game is finished and for whatever digital platform of distribution we choose). 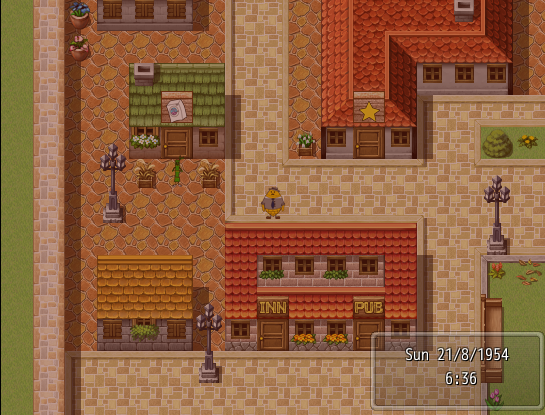 Game uses classic RPG Maker Controls. Additions are clock which can be enabled/disabled by pressing 'shift' and a new menu which has access to 'Quest Tracking system'. 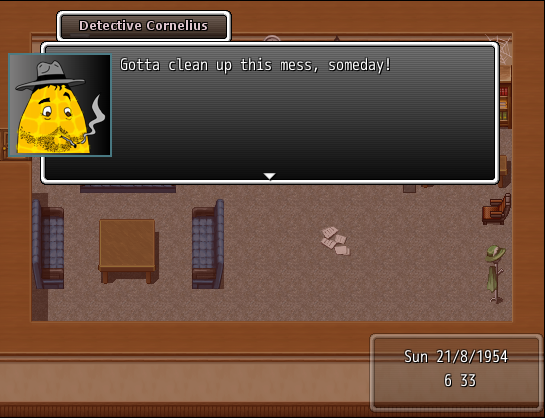 Only the basic interactions and essential dialogs have been implemented. Combat hasn't been implemented yet, because as with all the characters and faces we are making our own art and one month simply wasn't enough for custom art in every aspect of the game. Enjoy your trip to Evergrowth! All Scripts Used are from Nicke and V.M. of D.T.